Olivetti d-Copia 3502MFplus multifunctional systems have been designed with these objectives in mind. The large touch panel, for accessing the print, copy, scan and fax functions and the extensive range of options, for paper handling and document finishing, provides users with a flexible and professional approach to workflow management. Options are also available for managing direct Wifi and Wifi Direct and cloud printing. 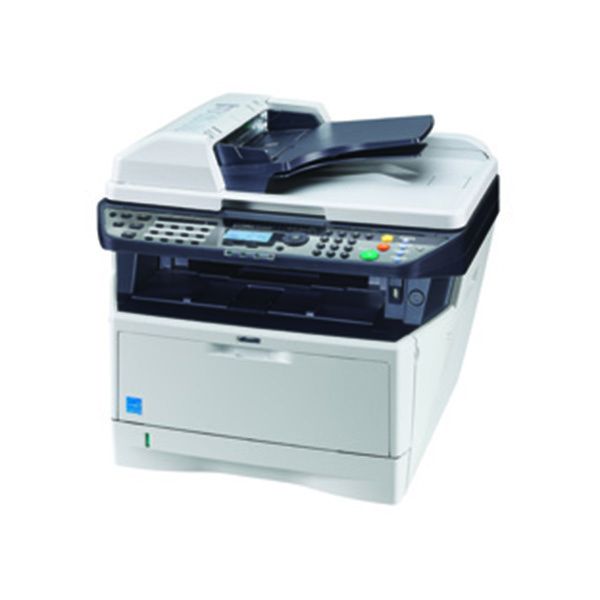 The Olivetti d-Color MF2624 colour multifunctional system, with their compact design , represent the ideal solution for work enviroments where space is limited but demands for good performance, professional results and reliability remain high. Olivetti PG L2235 is a monochrome desktop printer, offering the perfect mix between efficiency, reliability and compactness, while minimising environmental impact. 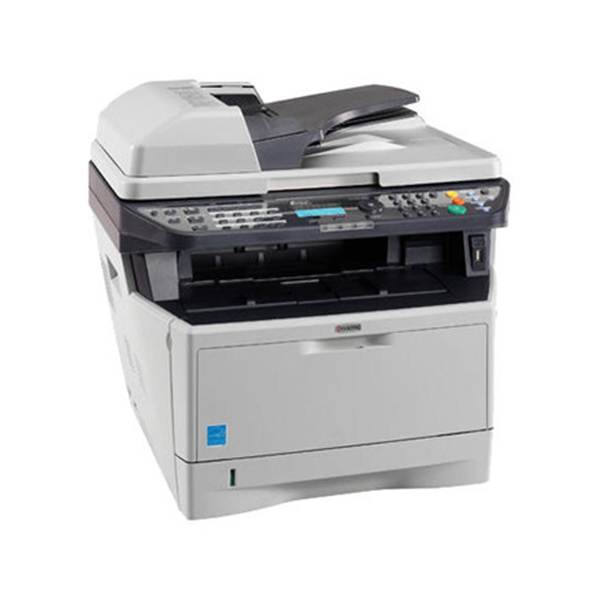 These units are ideal for individuals and small workgroups who require quick and efficient black and white laser printing. With 35 pages per minute, reduced paper consumption and compactness, these devices offer outstanding performance and affordability. Olivetti PG L2335 is a monochrome desktop printer, offering the perfect mix between efficiency, reliability and compactness, while minimising environmental impact. 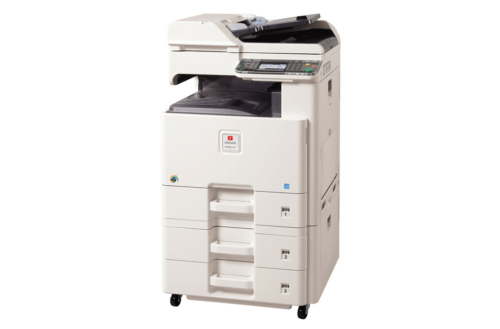 These units are ideal for individuals and small workgroups who require quick and efficient black and white laser printing. With 35 pages per minute, reduced paper consumption and compactness, these devices offer outstanding performance and affordability. Olivetti PG L2435 is a monochrome desktop printer, offering the perfect mix between efficiency, reliability and compactness, while minimising environmental impact. 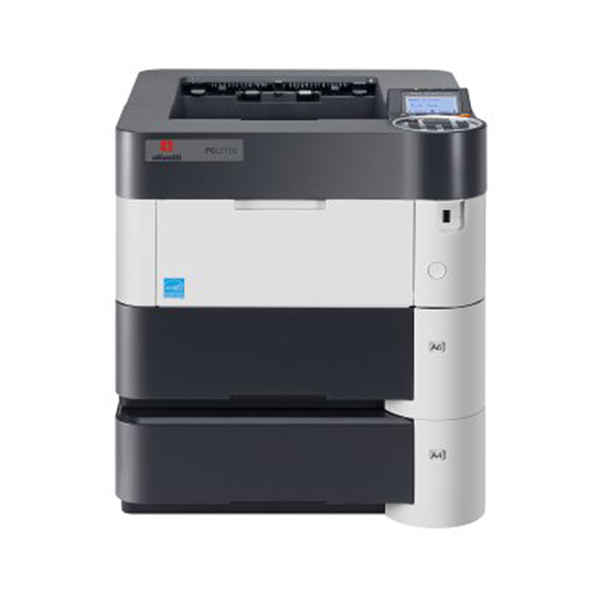 These units are ideal for individuals and small workgroups who require quick and efficient black and white laser printing. With 35 pages per minute, reduced paper consumption and compactness, these devices offer outstanding performance and affordability. 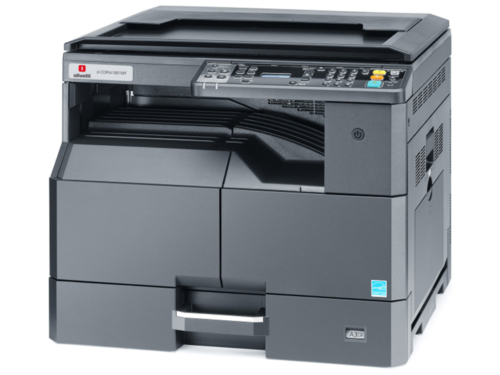 These laser printers are the ideal solution for heavy-duty workloads with print speeds of 40, 45 and 50 pages per minute, respectively. Reliable, versatile, easy to handle and simple to use, these units deliver highly professional performance levels at a competitive cost, to meet the needs of any workplace - from small and medium-size businesses to large corporations and government agencies. Use of long-life top-quality consumables enhances results to guarantee higher productivity, minimise running and maintenance costs and reduce impact on the environment. Support for a variety of formats and paper weights, combined with the large capacity of the optional paper trays, mean these printers suit the most diverse printing requirements. 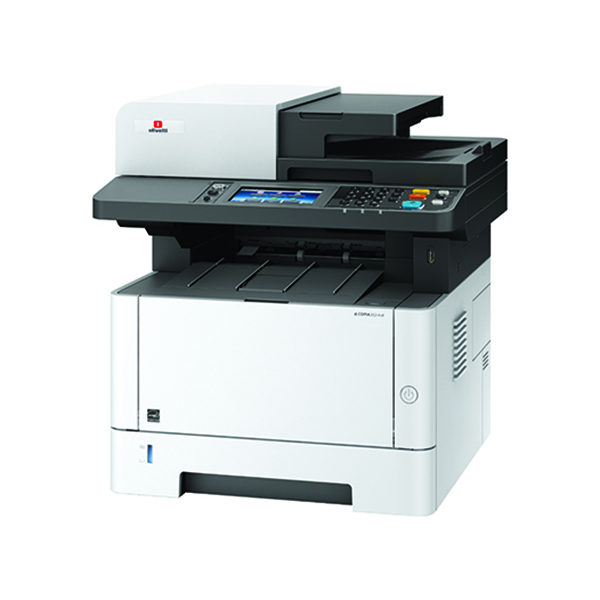 Olivetti’s entry level d-COPIA 1801MF Plus and 2201MF Plus range of digital copiers have been designed to address a wide range of applications ranging from monochrome copying, GDI and Network printing as well as colour scanning. These products have evolved from our very successful range of market leading entry level A3 products. Due to their reliability and minimal maintenance requirements they are the ideal choice for remote locations and schools, but cater also for the needs of small and medium size businesses. Olivetti’s entry level d-COPIA 1801MF and 2201MF range of digital copiers have been designed to address a wide range of applications ranging from monochrome copying, GDI and Network printing as well as colour scanning. These products have evolved from our very successful range of market leading entry level A3 products. Due to their reliability and minimal maintenance requirements they are the ideal choice for remote locations and schools, but cater also for the needs of small and medium size businesses. The new multifunction monochrome A4 systems are designed with the needs of small work groups in mind. d-Copia 3524MFplus, impressive with integrated Wi-Fi and 4.3” colour touchscreen. The new multifunction monochrome A4 systems are designed with the needs of small work groups in mind. 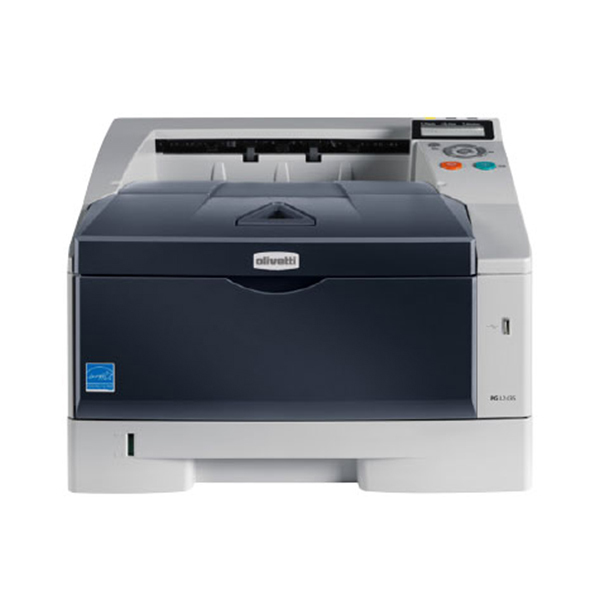 D-Copia 3524MF, reliable with print, copy, scan and fax functions, speeds up to 35 ppm and resolution of 1200 dpi. Compact and silent, perfect also for desk use. The new multifunction monochrome A4 systems are designed with the needs of small work groups in mind. 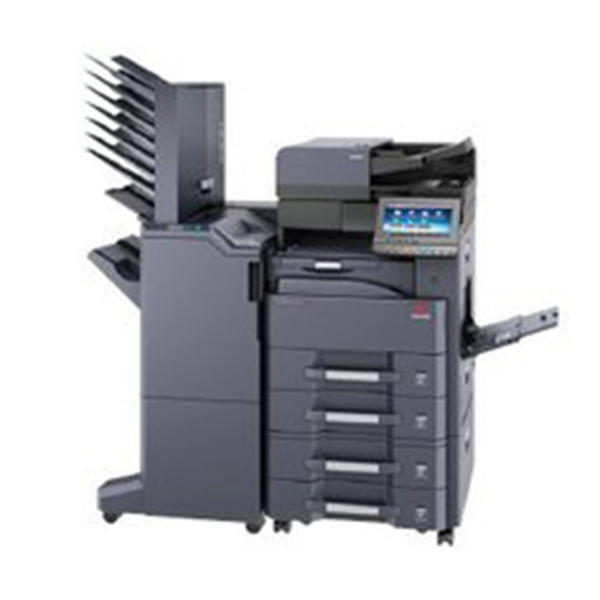 d-Copia 4023MF ideal for heavier duty cycles: print speeds up to 40 ppm, faster warm-up and time to first copy, dual scanner and toner capacity up to 7200 pages. 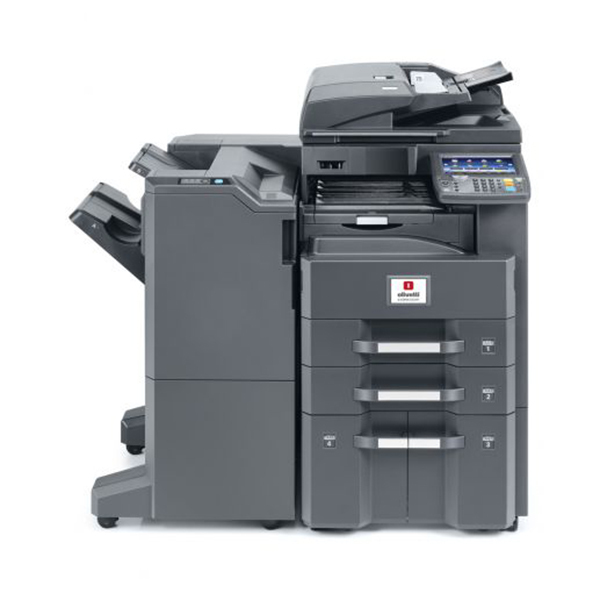 The new multifunction monochrome A4 systems are designed with the needs of small work groups in mind. 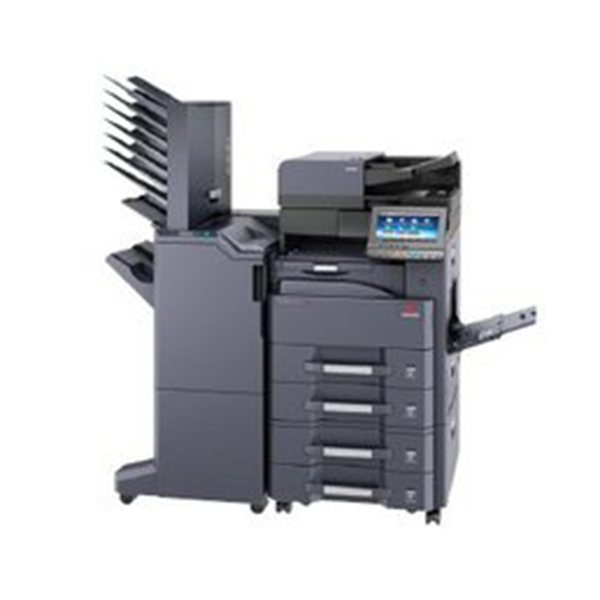 d-Copia 4024MF ideal for heavier duty cycles: print speeds up to 40 ppm, faster warm-up and time to first copy, dual scanner and toner capacity up to 7200 pages. 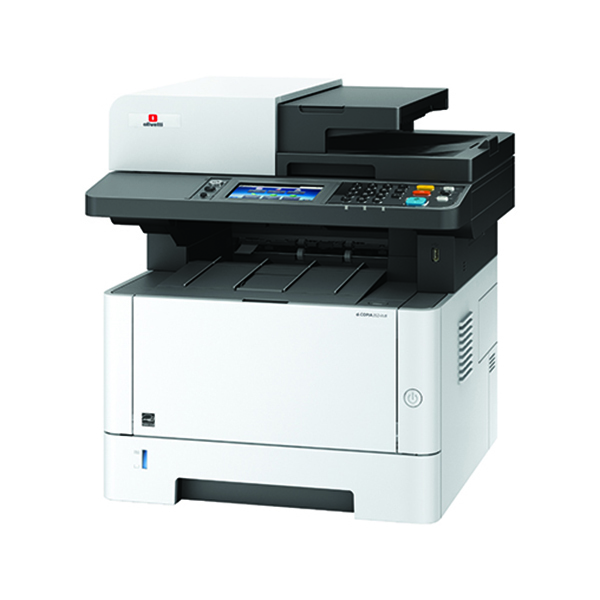 The new multifunction monochrome A4 systems are designed with the needs of small work groups in mind. 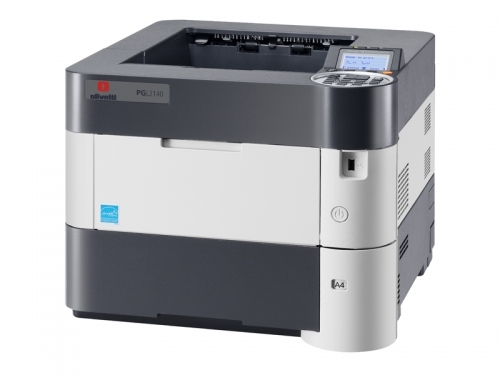 d-Copia 4024MFplus, is the smart MFP which integrates Wi-Fi and the JaWS platform: thanks to that, complex demands and professional workflows will be satisfied. The black-and-white multifunctional desktop devices 3013MF, 3013MF plus and 3014MF from Olivetti are the perfect solutions for professionals and small workgroups who need compact, high-speed products. 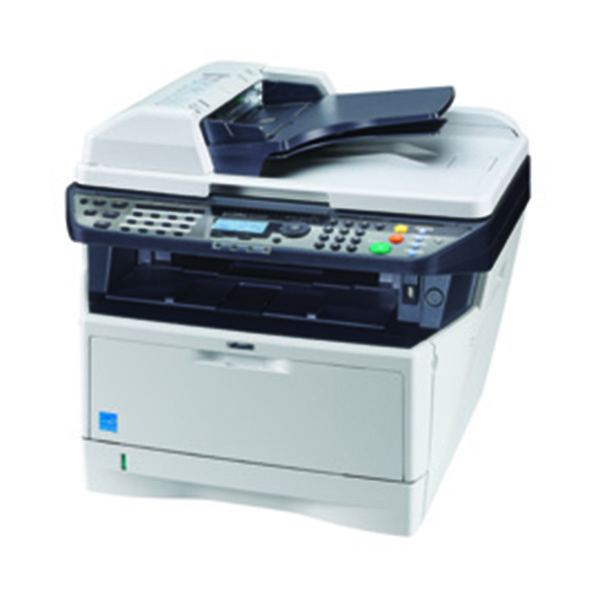 These systems print and copy at a speed of 30 pages per minute, offer outstanding scan performance with low energy consumption and ensure the document management of small offices. 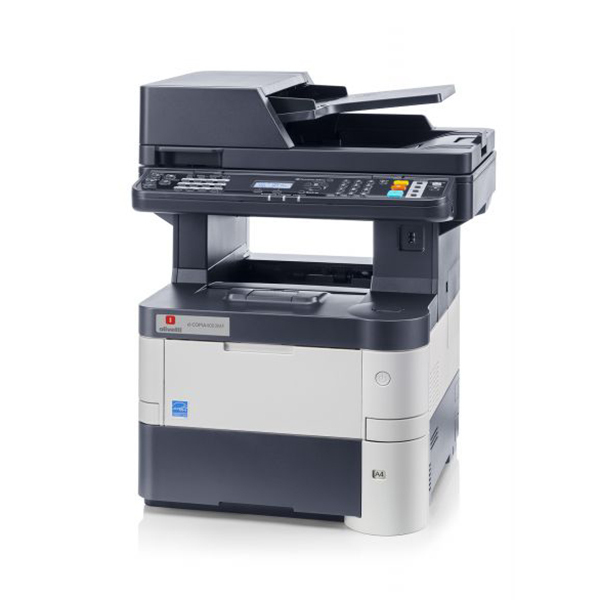 The Olivetti A4 mono d-COPIA 3513MF ensure high efficiency when managing daily document workflows, ideal for small companies and workgroups.This device can print 35 pages per minute and have the ability to handle bigger documents with additional memory available to expand to 1.5GB. High capacity of toner and drum minimises running costs and environmental impact. These units have a maximum paper capacity of 800 A4 sheets from 4 different sources. 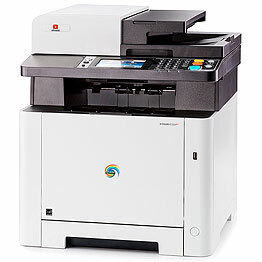 The Olivetti A4 mono d-COPIA 3514MF ensure high efficiency when managing daily document workflows, ideal for small companies and workgroups.This device can print 35 pages per minute and have the ability to handle bigger documents with additional memory available to expand to 1.5GB. High capacity of toner and drum minimises running costs and environmental impact. These units have a maximum paper capacity of 800 A4 sheets from 4 different sources. 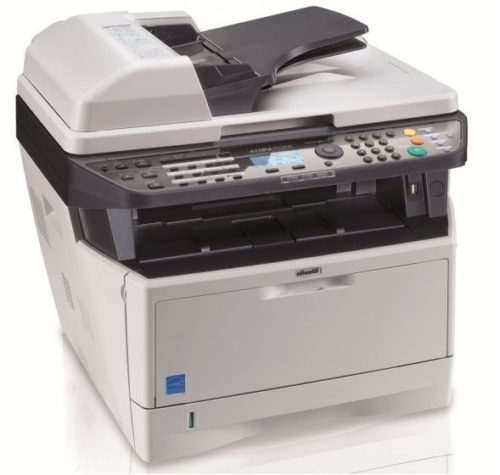 The d-COPIA 3514MF has a fax as standard. These multifunction systems combine professional quality with the needs of users who require a product that is easy to install, use and maintain. Olivetti’s d-COPIA 4004MFPlus units have a standard 1.5 GB memory, and can handle print queues of up to 10 users quickly and efficiently. Competitive costs: low initial outlay, very low maintenance costs, reduced energy consumption makes these units attractive for SMEs. These multifunction systems combine professional quality with the needs of users who require a product that is easy to install, use and maintain. Olivetti’s d-COPIA 5004MFPlus units have a standard 1.5 GB memory, and can handle print queues of up to 10 users quickly and efficiently. Competitive costs: low initial outlay, very low maintenance costs, reduced energy consumption makes these units attractive for SMEs. These multifunction systems combine professional quality with the needs of users who require a product that is easy to install, use and maintain. Olivetti’s d-COPIA 6004MFPlus units have a standard 1.5 GB memory, and can handle print queues of up to 10 users quickly and efficiently. Competitive costs: low initial outlay, very low maintenance costs, reduced energy consumption makes these units attractive for SMEs. If low maintenance and low running cost is what your business requires, these Olivetti A3 Monochrome Printers/Copiers with Network Printing/Scanning/Faxing are the products to consider. They operate with speeds of 25 and 30 pages per minute respectively and are designed to address the needs of schools, smaller work groups and medium sized businesses. They have competitive running costs and very low maintenance requirements, guaranteeing utmost performance for businesses. 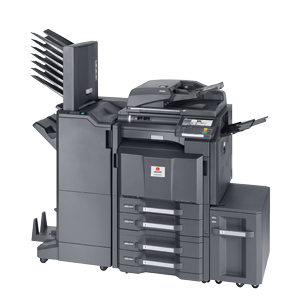 The Olivetti d-COPIA 3002MF and 3502MF represent the ideal solution for black and white A3 printing with the perfect mix of outstanding performance, high-security document management, highly competitive cost-per-copy rate and reduced energy consumption with compliance with the latest environmental regulations. 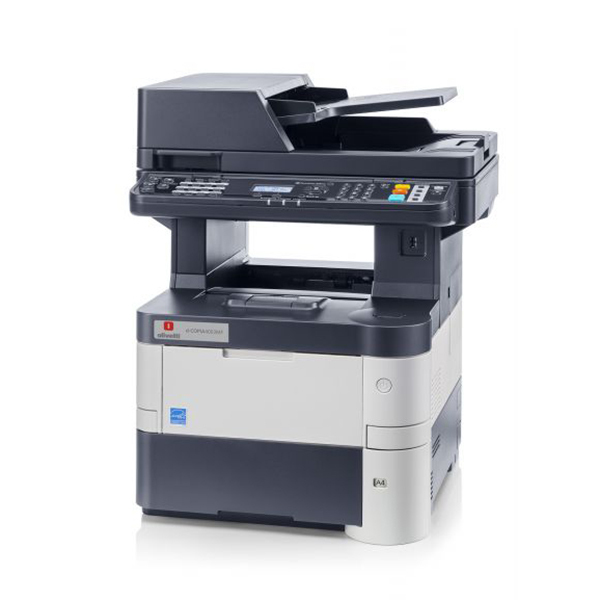 The MFP manages copy/prints speeds of 30 and 35 pages per minute respectively, and provides the option of OCR scanning to ‘searchable PDF’ files. Both units are ideal office automation choices for medium sized companies and workgroups in corporates. Olivetti’s departmental monochrome multifunctional systems adopt cutting-edge technology to offer best-in-class performance with ease of use. At the same time, compliance with the latest environmental standards guarantees maximum attention to eco-sustainability. These systems operate with copy/prints at speeds of 45 and 55 ppm respectively and provides you in combination with its high resolution colour scanner an option of OCR scanning to ‘searchable PDF’ files. 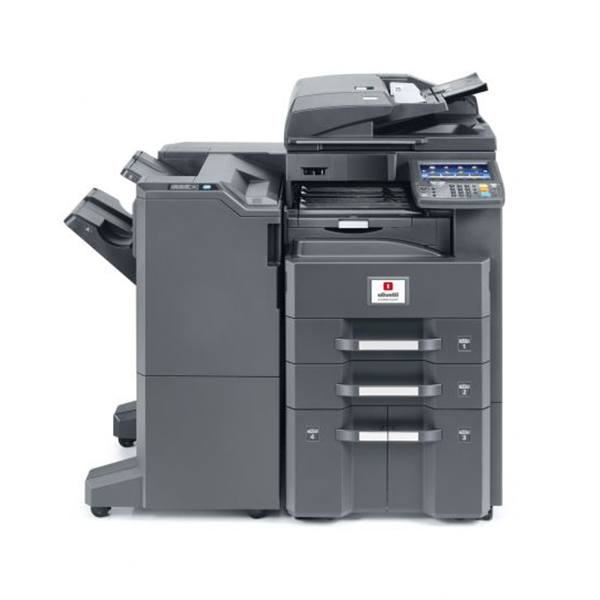 Both systems are ideal for busy workgroups and departments with high document volumes. 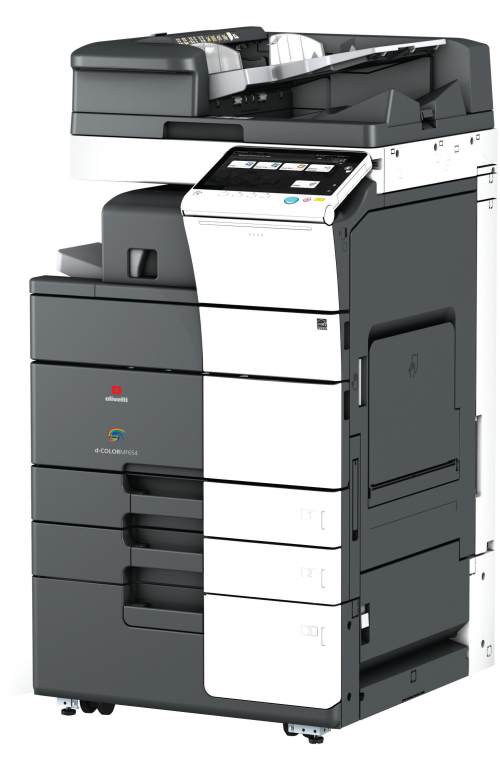 Olivetti’s d-COPIA 6500MFplus black and white multifunctional digital systems are the perfect solution for all high volume document requirements of large offices, small print centre’s and schools, looking for high efficiency, productivity and superior black and white printing quality. Both models offer speed and flexibility and are fitted with a powerful Dual-Core processor.